Summer has finally arrived! While the sun provides us all with some much-needed warmth, the kids are out and about enjoying their break. With school being the last thing on the students’ minds, it’s important to keep the premises immaculate. 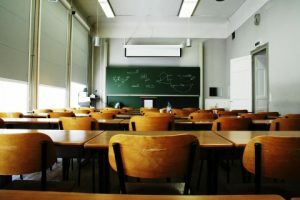 Not only is there a better opportunity to get into the nooks and crannies that are usually hard to get to during the school year, but maintaining a clean facility gives you the opportunity to plan activities during the break, and also to start the upcoming year with a clean slate when the time comes. At UMG, we pride ourselves on providing unparalleled residential and commercial cleaning in Manhattan and beyond, and we strive to make your life easier. Stop worrying about keeping the school grounds clean during the summer, and let our professional cleaners do it for you! We understand that there are a lot of cleaning companies to choose from in the area, but we know you won’t regret choosing us for our school cleaning services. Here are some of the ways in which we make sure to stand out amongst our competition. It all begins with a thought out plan. Together, we will come up with a clear, precise strategy for maintaining the cleanliness of the school. We founded UMG Cleaners with customer service being one of our priorities, and a large part of this is our dedication to our communication with our clients. You’ll never be in the dark about what we might be doing on a particular day, instead, you will be constantly updated on our procedures. While summer is a blast, it also seems to come and go before you know it, so the plan we develop will be concise to ensure that every inch of the school will be deep scrubbed and ready to go before the upcoming year. One area that we focus on during the summer break is the floors. It’s important to take advantage of the empty hallways and get the much-needed cleaning, detailing, and finishing that’s so hard to take care of when the floors undergo their usual heavy traffic. 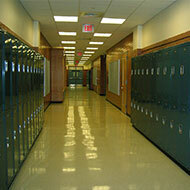 Not only will clean floors help the overall appearance of the school, but extend the life of your flooring. Another area that is hard to get to during the school year is, of course, the cubbies and lockers. It’s nearly impossible to have students maintain the cleanliness of their lockers, as well as you never know what foods or messes are left behind when they sprint out of the doors to enjoy their long-awaited summer. With hallways empty, we’ll be able to get in there and scrub down each and every locker or cubby so that they look brand new, and don’t have any rotten food leftover to surprise incoming students at the beginning of the year. Put a bunch of growing students in any cafeteria or gym and you’re guaranteed a mess every day of the week. Keeping these areas maintained during the school is crucial in preserving the cleanliness of your school, but there will always be some dirt, food, or grime left over. With leftover crumbs and food a guarantee in the cafeteria, and multiple areas in the gym for trash and clutter to hide, we promise to get in there and deep clean every spot. From the bleachers to the locker room, the ceiling to the floor, we will make sure that these commonly untidy locations are sparkly clean. Bathrooms are a top priority when cleaning your school during the summer break. You’d be surprised with all of the hiding spots that trash finds during the year. When you hire us for our school cleaning services, you can rest assured that every nook and cranny will be deep cleaned. No grime in the cracks, no dried up spitballs. We will go through and scrub every sink, toilet, and urinal to have the bathrooms ready when the school year starts back up again. 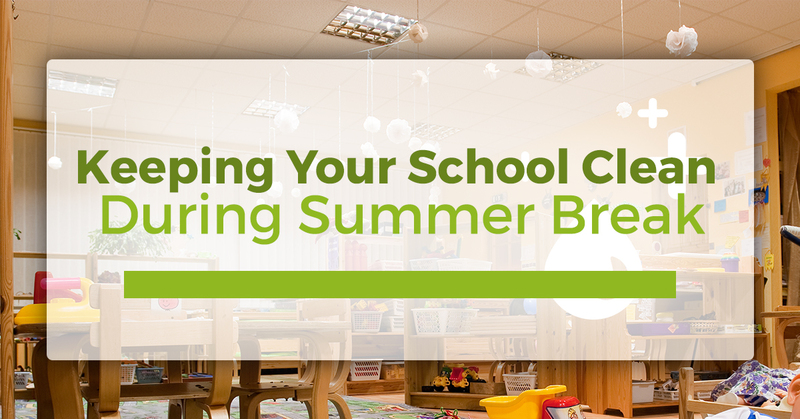 Aside from the advantage of getting the facility ready for a new year, using our school cleaning services during the summer will also give you the ability to host summer activities. From summer school, camps, and training incoming employees, having the building clean is extremely important during the break. Your school is in charge of the health and safety of its students, faculty, and visitors, so green cleaning products are really the only option when it comes to scrubbing down the facility. At UMG, we believe in taking care of our environment and the air we breathe, so we’ve been green cleaning since day one to assist in the preservation of our planet and the health of our clients. With so many students occupying the hallways during the school year, our deep clean will also help in eliminating the transfer of germs when classes are back in session. From preschools up to universities, UMG cleans it all. Now is the time to take advantage of the empty school, and hire our cleaning company to ensure that it looks brand new when the first bell rings. With our unmatched customer service, clear communication, and expertise in cleaning, we’re the right choice for all of your janitorial needs. If you are in need of our school, commercial, or residential cleaning services, be sure to contact UMG Cleaning today, where quality meets satisfaction.